Traveler Reviews for Private Tour in Vancouver, British Columbia, Canada by Tour Guide Eva S.
Great Tour. Eva was flexible with our start time due to travel. One of the most knowledgeable tour guides we've had! Thank you, Eva. Eva was very knowledgeable about Vancouver and a great guide! Great little tour to get a taste of a beautiful Vancouver. Very good tour guide Eva. A lot of interesting info. We enjoyed it. Touring Vancouver with Eva was perfect. We saw more of the city in four hours than we could have on our own. Plus we gained insights about past and present Vancouver. Eva tailored our tour to meet the needs of a less mobile person in our party of four. Highly recommend this tour Beautiful Vancouver with Eva as your guide. Really enjoyed this tour - a great overview of Vancouver. Eva is a well-informed guide who brought the City alive for us. Her vehicle was comfortable to travel in and there were enough stops to get out and look around, too. Definitely recommended for a first time visitor. Eva picked us up ahead of schedule in a comfortable hybrid Lexus at our hotel. The tour was offered at a leisurely pace and Eva is very knowledgeable. Her love of the city and surrounding area is evident in her attention to detail in her touring. She combined driving and walking in order to maximize our tour. She focused on areas further away from our hotel. We were offered additional time for an extended area, but were not able to enjoy the offer. We would tour with Eva again. 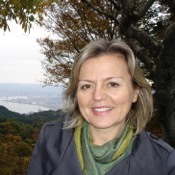 Eva is friendly and quite knowledgeable about Vancouver and the surrounding area. Quite an enjoyable and informational tour. One of the best and most informative city tours that I've ever done. Eva was excellent.! Neat lady knows and loves her city and graciously showed it to us. This was an excellent tour. Eva was quick to respond to e-mails and gave easy to follow directions to locate her. She was friendly and informative. We were able to visit many areas in the city and got a wonderful overview of Vancouver. She gave ample opportunities to explore and gave great suggestions for photo ops. Eva gave us suggestions for lunch in Gastown at the conclusion of the tour and provided directions back to the ship. I would highly recommend her tour! Eva planned a perfectly delightful half day tour of Vancouver. We really enjoyed the overview and stop for coffee in the Gastown District. She integrated the history of an area with what we were experiencing. We appreciated her flexibility in meeting us at our hotel and leaving us at our dinner destination. Thank you for a wonderful afternoon! Eva was professional, articulate, and knowledgeable. The consummate tour guide. Great guide and a great day. We saw and learned a lot. We definitely give Eva a 5/5 stars for her outstanding knowledge and manner. We learned and experienced so many things that we couldn't have possibly acquired on our own in such a short time. Having Eva as our tour guide allowed us to make lasting memories of our time in Vancouver, which is what travel is all about. Eva was amazing. She provided a highly informative and beautiful tour experience of Vancouver. She was extremely professional, flexible and accommodating. I would highly recommend her as a guide for any tour. Eva was a very knowledgeable tour guide. Very flexible with the agenda. We knew nothing about Vancouver so the flexibility was a little too flexible. Would have preferred she ended the tour at Granville Island but we wouldn't have realized that at the time. Recommend that to future tours. Had a hard time starting her car which made us nervous. Needs to have it fixed. Overall worth the money and was educational. Pleasant, Informative and provided interesting facts about the city- we enjoyed our tour very much. Can't wait to return to Vancouver. Efficient, timely, and informative. Eva provided a nice vehicle, picked us up on time, took us to all the places we wanted and needed to see and visit. She is personable, knowledgeable, and flexible. This is an excellent choice for a one-day overview of the city. Great tour. We saw Vancouver as the local do, which is exactly what we wanted. The guide was extremely knowledgeable and personable. We highly recommend her. Eva was friendly, courteous and knowledgeable. The tour took us to all areas of Vancouver, and we were given the opportunity to walk around at,several spots to get better views and take photos. This is a good way to see Vancouver especially if you don't have a lot of time such as before a cruise. Eva was a fantastic tour guide, polite, professional, knowledgeable and very helpful. 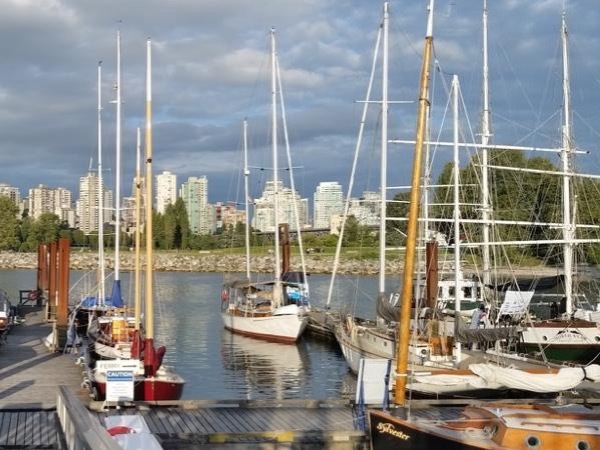 we toured the beautiful city of vancouver with eva on july 2. she was very knowledgeable about vancouver she made sure we saw everything, it was a very pleasant day. i would highly recommend touring with eva. Eva was very professional and knowledgeable. This was our first trip to Vancouver and we wanted a general intro to the city and environs and that is what we got. Kept us on schedule but spent time where we wanted to spend time. All in all, as advertised and enjoyable. wow; Eva was great and the tour was exceptional. Would recommend this tour for anyone visiting Vancouver. She is very knowledgeable and the tour was exciting and well beyond expectations. AND she can keep a secret. Eva was accommodating in the short time slot we had available. She was very knowledgeable of the history of Vancouver. She showed us everything from the little chocolate factory and the farmer's market to the historic homes and totem poles, gardens and trees. Would definitely recommend Eva to anyone visiting Vancouver. Eva provided an excellent tour of the city, covering all of highlights but providing excellent detail and colour. We were very glad we chose Eva and would strongly recommend her. Our family of 4 (me, my husband and my parents) had a delightful afternoon with Eva exploring Vancouver prior to an Alaskan cruise. She was so knowledgeable and relaxed to go at our pace--- we felt more Like it was a dear old friend showing us around her city rather than a guide! She took us to a delightful "locals" place for lunch after which we enjoyed exploring the shops and market on Granville island and Stanley park. We highly recommend Eva! Eva did a fantastic job sharing with us the city of Vancouver. She worked expertly around town, even during a major parade event shutting down large portions of the city. We had a lovely experience and would recommend her as a guide to anyone. I had a group visiting Vancouver and contacted toursbylocals to find a local guide. I found Eva and could not have been more pleased. She designed the tour to fit my groups interest. I would highly recommend Eva with tours by locals if you ever visit Vancouver. Eva is wonderful! She knows this city, it's history, politics, geography, all of it. We had a great day touring so many places. Eva's lunch recommendation was fabulous! Fresh pasta is always good, but this was fantastic. We really enjoyed our day. Thank you, Eva! We were very pleased with Eva's services as guide. She displayed a broadly based knowledge of Vancouver, its history and its geography. She tailored our tour to meet our physical needs as well as our interests and she gave us as comprehensive and fulfilling a tour as time permitted. Her vehicle was spacious and comfortable. We recommend her without reservation. A fabulous day. We have been to Vancouver several times and asked Eva to take us somewhere off the beaten track. We enjoyed scenes that foreign day trippers never see, including beautiful gardens and exquisite scenery. We had a great lunch at a small restaurant known only to the locals. I only wish we had more time with Eva. I can strongly recommend her services to anyone visiting Vancouver. Maybe even some of the city dwellers would benefit! Ava was an excellent tour guide. She was most accommodating and went out of her way to satisfy our limited mobility. She made Vancouver a very exciting city for us to visit and desire to return. Ava was both energetic and knowledgeable, and we recommend her as a most able and interesting guide. Eva provided an excellent tour of Vancouver in a short space of time. She even took us to an excellent craft shop where we could purchase quality items rather than just ordinary souvenirs. She has an excellent knowledge of Vancouver and provided a lot of information. She structured our tour so we went to various sites at times when they were not very busy. Eva was very accommodating and knowledgeable about the area. She was prompt in meeting us at the cruise ship and tailored the tour to our needs. Eva was wonderful. She was knowledgeable and well organized and was extremely interesting and had a good sense of humor. She was wonderful with our 88 year old mother. I would recommend her very highly. Eva was fabulous! This tour was so much more personal and focused on our interests than we would have been able to get using the cruise line's excursion. First, Eva showed us the city from many different vantage points. She knows the city inside out. Her knowledge and friendly demeanor made us comfortable and so happy with our tour. Because I was not feeling well, Eva ended the tour early upon my request. This would never have been possible had we been on the cruise ship's bus tour! Thanks, Eva! We very much enjoyed our tour with Eva. She was punctual, knowledgeable, and very personable. Would definitely book another tour with her.